Release 3.2.2 of the OneLogin Browser Extension for Firefox brings new, more robust functionality to let you add an app to your app catalog when you log into the app. For administrators, we have added functionality that lets you use policies to enable the Add App feature for your users. Indeed, if you want users to have access to the new Add App feature in Firefox, you must enable the feature for a policy and add users to the policy. Enabled users can control the visibility of the feature for themselves on their user profile preferences. If you're on version 3.0 or higher of the the OneLogin Firefox extension, it will update automatically over the next few days. 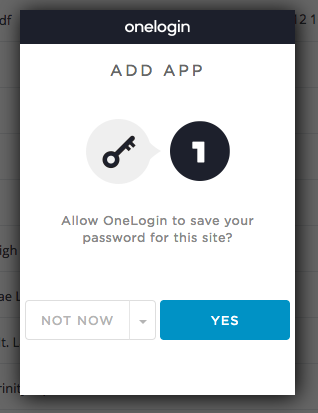 If you're on an earlier version or you can't wait, see the installation instructions in OneLogin Browser Extensions.